Did you know that every year the IRS mails millions of letters to taxpayers for many reasons? Are you one of the lucky ones to receive one? Don’t worry. Here are some suggestions for the taxpayer who receives that dreaded IRS notice. You received an IRS notice in the mail. Now what?!?! First off…freak out. Just kidding! Don’t do that. You CAN handle this! This notice is important and will explain exactly what the IRS is questioning as related to your federal tax return. Each IRS notice deals with a specific issue and includes instructions on what actions you need to take. A notice may reference changes to a taxpayer’s account, taxes owed, a payment request or a correction on a filed tax return. However, all IRS notices require timely action be taken. It will always say in the letter how long you have to respond, so there’s no guessing involved. Taking timely action helps to minimize any additional interest and penalty charges should you owe additional taxes. Plus, if a letter is about a changed or corrected tax return, you need to review it and understand any discrepancies. Compare the information in the notice to your original return and make sure you agree with the notice. These notices almost always tell you what to if you don’t agree. If you disagree with the assessment, you need to mail a letter explaining why you dispute the notice along with any paperwork to back up your claim. Sometimes this means sending in a form or copies of receipts to prove a deduction is legitimate. I have seen notices where the IRS simply wants to see a 1099 or specific form in question to confirm a claim on a return. Always mail your reply to the address at the bottom of the notice. The IRS will review all included information and documents when considering your dispute, but it may take at least 30 days for a response. Don’t reply unless instructed to do so. There is usually no need for a taxpayer to reply to a notice unless specifically instructed to do so. Some notices might be catching a mistake you made and the letter informs you of the mistake. In these case, IRS notices are welcome, right?! Remember that there is usually no need to call the IRS upon receipt of a letter in the mail. If you must contact the IRS by phone, always use the number included in the notice. 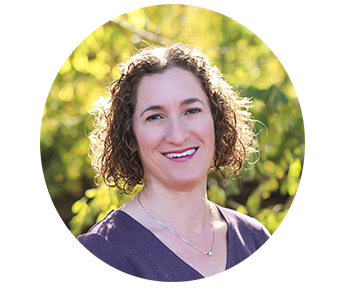 It will expedite your call if you have a copy of the tax return in question, any additional paperwork you can provide, and the IRS notice when calling. The IRS never initiates contact using social media, text message, email or the phone. There are many scam callers out there threatening jail time and arrest. Trust me. They are just that – A SCAM! Hang up. The IRS does not threaten with jail time or arrest. However, it can send levy notices, but always via mail. If you question whether something is a scam, you can always view your account information online. Initial contact from the IRS almost always comes in the form of an IRS notice. If you are unsure if you owe money to the IRS, view your tax account information on the IRS website. If you’re unsure of what you need to do, talk to a tax professional. Professionals are here to support you. This is why I stress it’s important to have a relationship with a tax professional. Usually, you will avoid notices in the first place, but should one arrive in your mailbox you have someone on your side already. Tax professionals understand IRS notices and are equipped with how to respond. I, personally, have had a few letters pop up for my clients over the years and I almost always clear them with a quick letter to the IRS. Unfortunately, no one is exempt from receiving an IRS notice. However, it’s important to know how to respond. 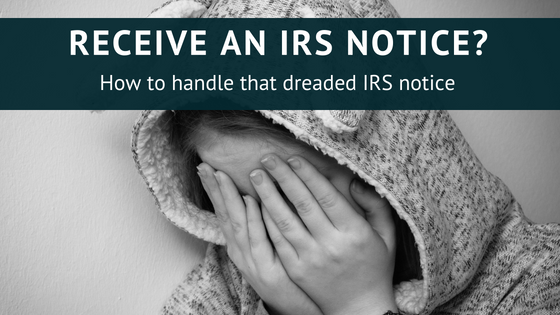 Have you received an IRS notice? Share your experience – good or bad.